A bequest is a gift in your will. Wills are important legal documents, so it is vital to seek the advice of your solicitor before writing or updating your will. This will ensure your estate is distributed according to your wishes. Why should I leave a Bequest? 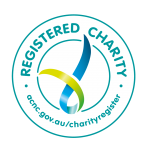 Most charities rely on the generous support of donors to continue to provide much need services to the community. Speld Qld is no different and without donors like you, we could not continue to support people experiencing learning differences in Queensland. How can I leave a Bequest to Speld Qld in my will? Simply state the specific dollar amount you would like to leave to Speld Qld. Simply state the percentage (%) of your estate you would like to leave to Speld Qld. Please refer to the Bequest Information Sheet, for examples of wording to include in your will.